A Treasure Trove of Stimulating Information! Just found this in iTunesU. Wow! You’ll recognize many of these names if you’re reading the tDCS literature. I’ve only watched the Michael Weisend talks (whom we met earlier on the blog) so far. 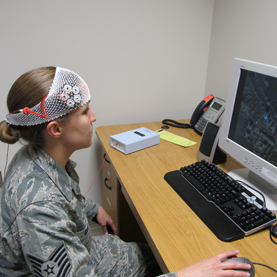 I have a much better understanding of the difficulty of running a tDCS trial now. There’s a lot that can go wrong. If your protocols aren’t set up just right, your information might be useless. Here’s the web link iTunes Link from which you can download in iTunes. Downloads are quite slow. 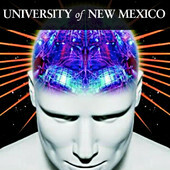 Introduction to Neurosystems Engineering, Spring 2011 (ECE 595) Neurosystems Engineering is an emerging field at the intersection of Neuroscience, Psychology, and Engineering, and the University of New Mexico is its epicenter. Hard to imagine how he’d have learned enough about tDCS to build a device, but have gotten the (typical) montage so wrong. Placing the cathode over left DLPFC and anode over right orbital is exactly the opposite of what you’ll find in most studies related to both depression and working memory. He doesn’t go into how he’s constructed his electrodes at all. Anecdotally, it is interesting that the reverse montage made him feel angry and depressed. Some very excellent tDCS-related documents came to my attention over the weekend. I’m pretty sure I’d looked for at least one of them before, but that it was behind a paywall. I’ll provide links to the pdfs here, but suggest that (as has happened elsewhere on the blog) pdf links frequently go bad so ‘get em while they’re hot’. This is the paper by Alan Snyder and Richard Chi that is frequently referenced in ‘unlock your inner savant’ articles on various pop-sci sites. (See also) Spoiler alert! 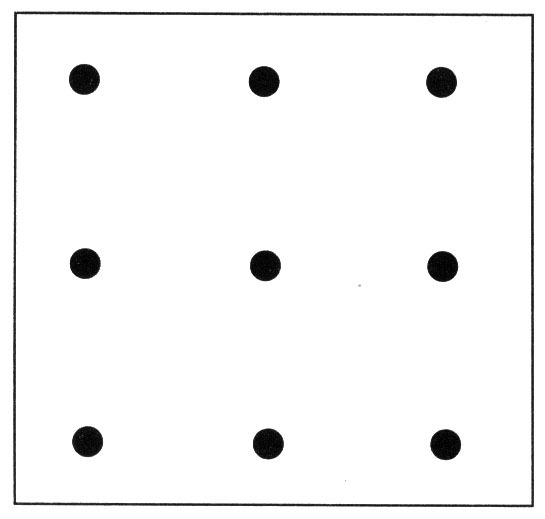 Gives the answer to the ‘9 dot’ problem and once you’ve seen it it will be impossible to discover how ‘savant-like’ you are (at least according to this test). …we applied cathodal tDCS (1.6mA) at the left anterior temporal lobe (ATL) together with anodal tDCS at the right ATL for approximately 10 min… None of the 22 participants in the main experiment solved the nine-dot problem before stimulation. But with 10 min of right lat- eralizing transcranial direct current stimulation (tDCS), we found that more than 40% of participants could do so. 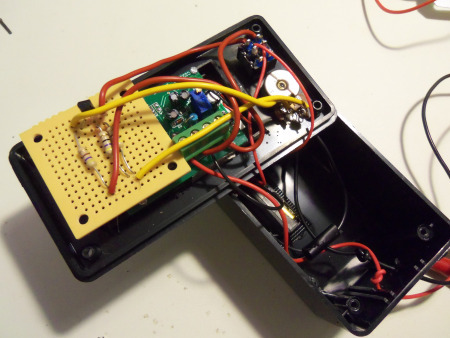 Dr. Brent Williams, at his SpeakWisdom blog, published another excellent tDCS post updating his DIY device, and adding a .doc that outlines his recommended (For Discussion) protocols for depression, ‘Savant Learning’, memorization, and chronic pain. 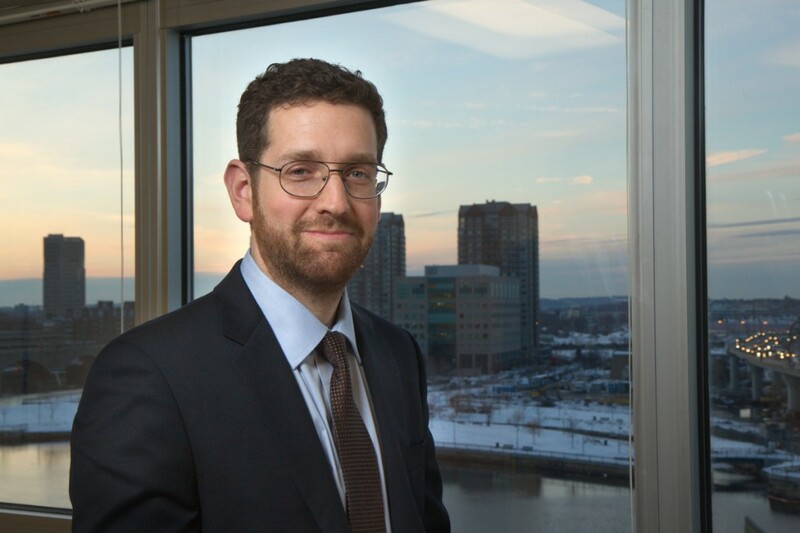 His protocol describes directions for use with either his ‘User-Built tDCS Research Device’, or the ActivaDose II. And that folks, is how a weekend disappears down the rabbit hole!